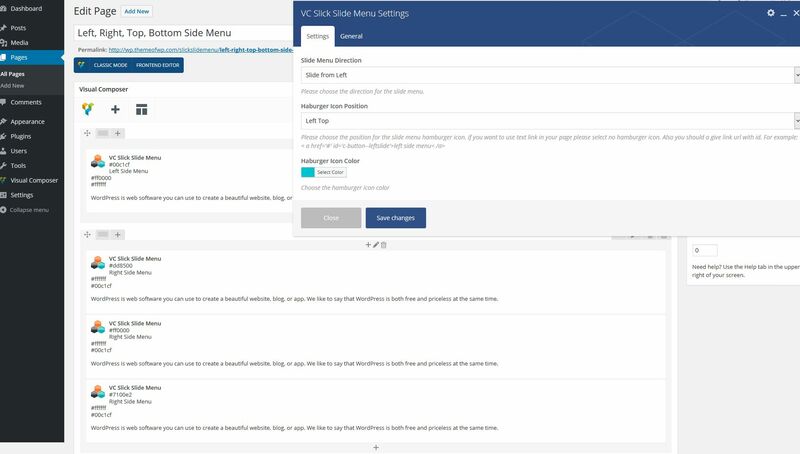 You can create and use Off-Canvas menus with Slick Slide Menu Addon for Visual Composer WordPress Plugin in any page. 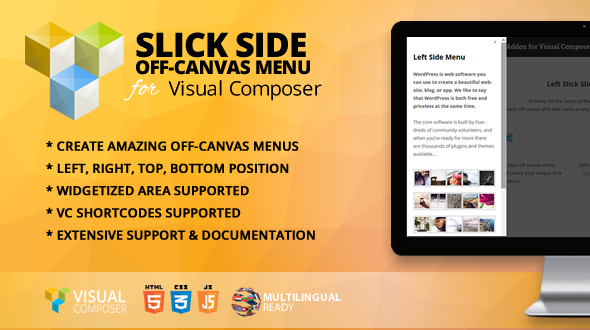 Slick Slide Menu addon will display Off-Canvas menu on left, right, top and bottom side. 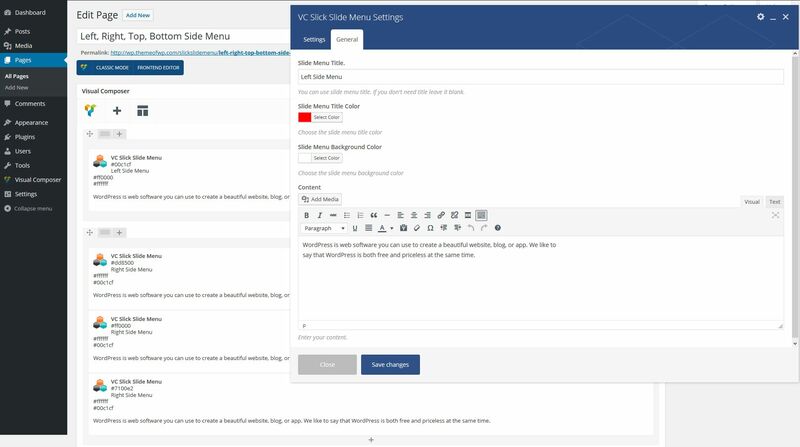 Also you can use any widget and content in your menu.